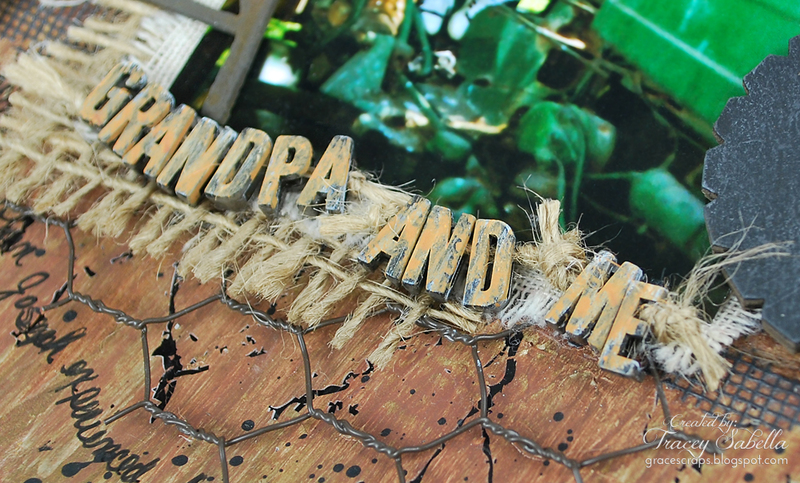 Leaky Shed Studio farm chipboard pieces. I recently came across this photo of our son, Joseph, taken many years ago when he was a wee toddler enjoying time on the tractor with his grandpa. 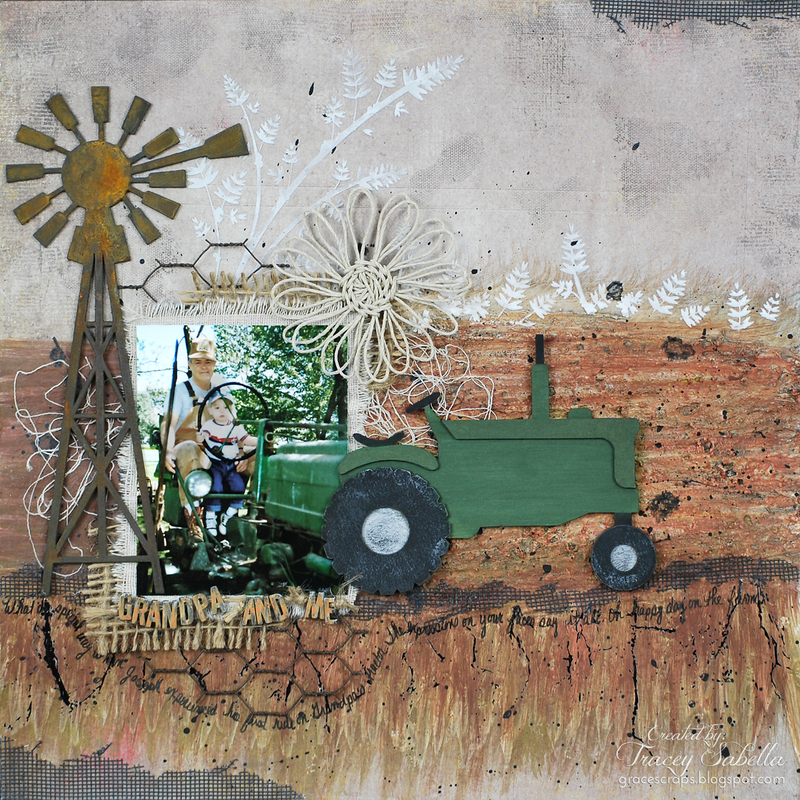 The Leaky Shed Studio Tractor and Windmill are such absolutely perfect accents for this special memory. Sophisticated Finishes Iron Metallic Surfacer, then the Rust Antiquing Solution. 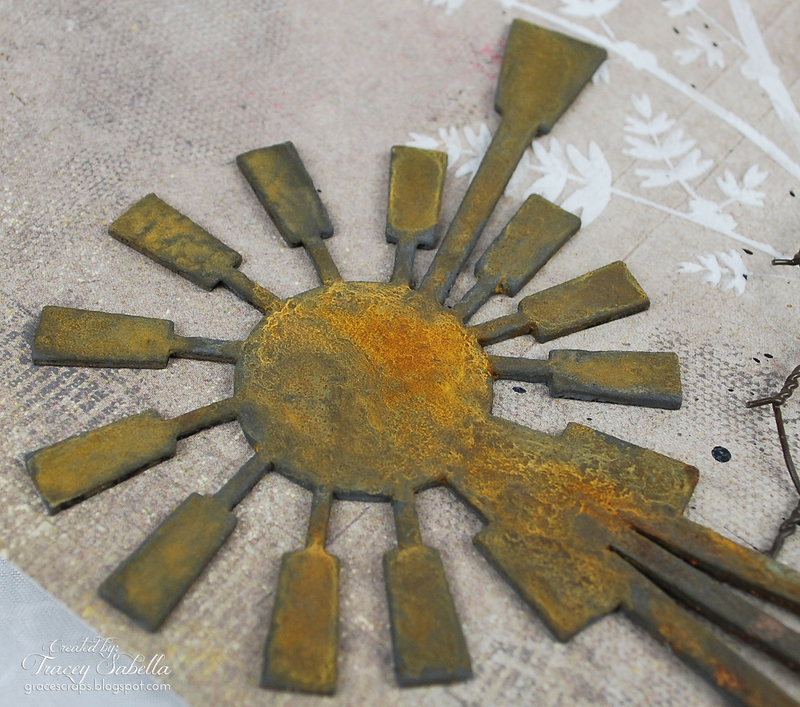 I accented with chicken wire and used light molding paste to stencil the wheat background. 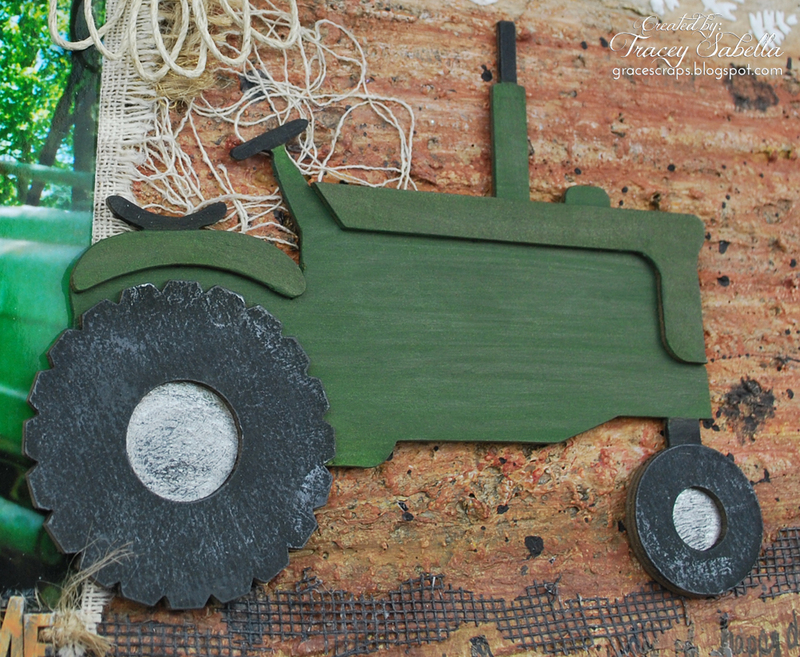 The Leaky Shed Studio Tractor is painted John Deere Green to go with my daddy's tractor. I grunged up the tires to look like it's traveling down my mixed media farm lane. rusty and strung together with twine. The black crackle is from an older rub-on sheet. 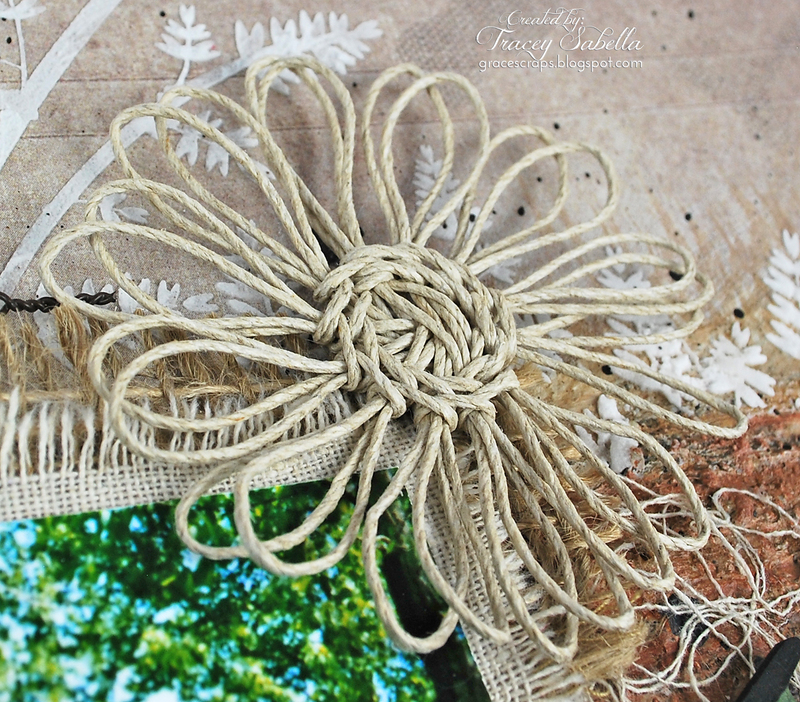 I layered burlap and other fabrics around the photo along with strands of threads. 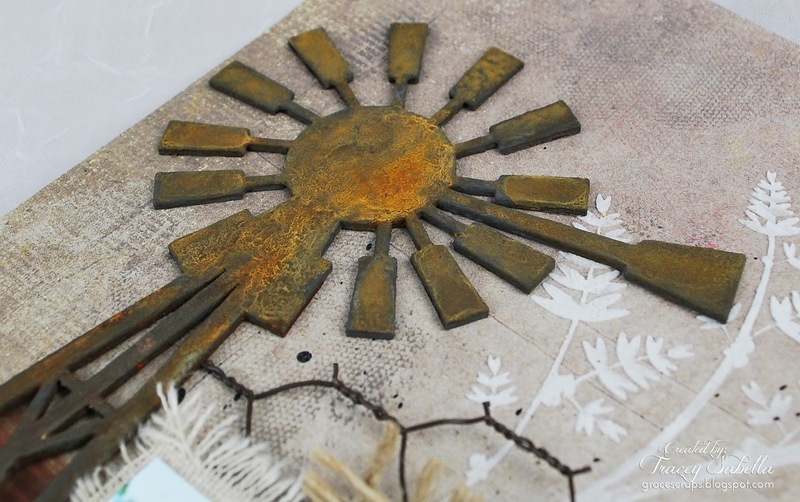 Love the rustic feel of this layout and the way you distressed and antiqued the windmill. Great page!